With 14 liters of water each, we were lugging the heaviest loads since early Arizona and the hills still weren’t done with us. We had to work hard to get out the Eagle Mountains. In an attempt to conserve water we were attempting to sweat less which meant less exertion. Yeah right? This meant giving into slow, steady climbing rather than pushing up the hills. It didn’t really work especially when a particularly steep pass hit us. BP had mentioned a pass nicknamed Mufasa Pass and we suspected this was it. Mufasa Pass or not, this climb would make anyone sweat no matter how slow you took it. On top was a stellar view of the valley and the Rio below. Hidden on the ridge was some sort of mechanical structure that we guessed belonged to the Indio Research Station. We had read that they do studies on anything from rodent densities to plant populations, to ground litter decomposition rates and we enjoyed speculating what experiment this might be part of. That or it’s a border surveillance thing, though there aren't many signs of high tech monitoring here. The ranchlands do not appear to be as infiltrated by surveillance cameras and random monitoring devices. As we descended from the mountains and into the valley we suddenly came across a collection of tents set up in a loose semicircle. The tents were the small, barebones ones that folks in the outdoor community tend to prefer and we were stoked to see them. The campsite was mostly empty but as we neared a truck drove up, stopping when it saw us coming. We started to approach but re-evaluated when we noticed how freaked out the people in the truck seemed to be. Apparently some people are a little jumpy when dirty strangers appear out of nowhere on private property in an area rumored to have a high concentration of illegal activity? We decided not to get too close and only waved as we passed. Another unsolved mystery! 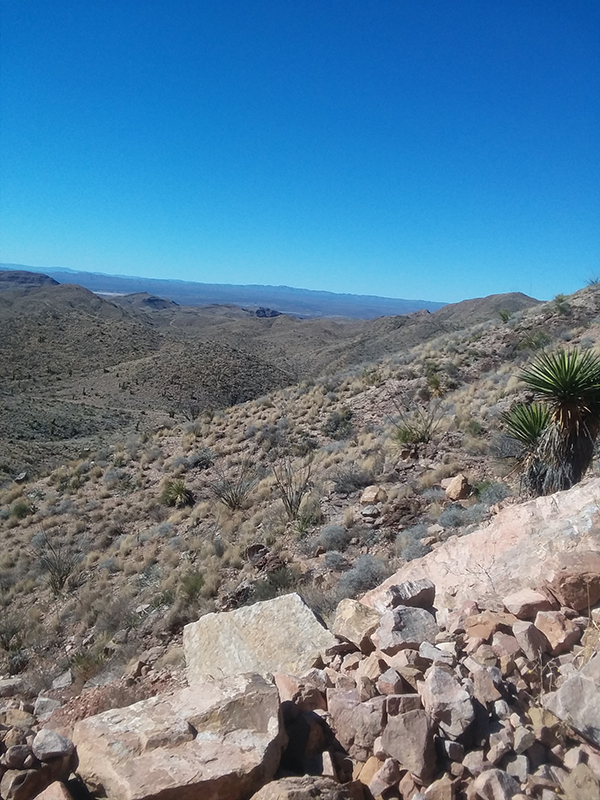 We left the UTEP property shortly after and joined a flat county road taking us back south towards the river. We have been waiting with bated breath for a shut-us-down, absolutely no trespassing sign but luckily Green River Road led us to a best case scenario gate. 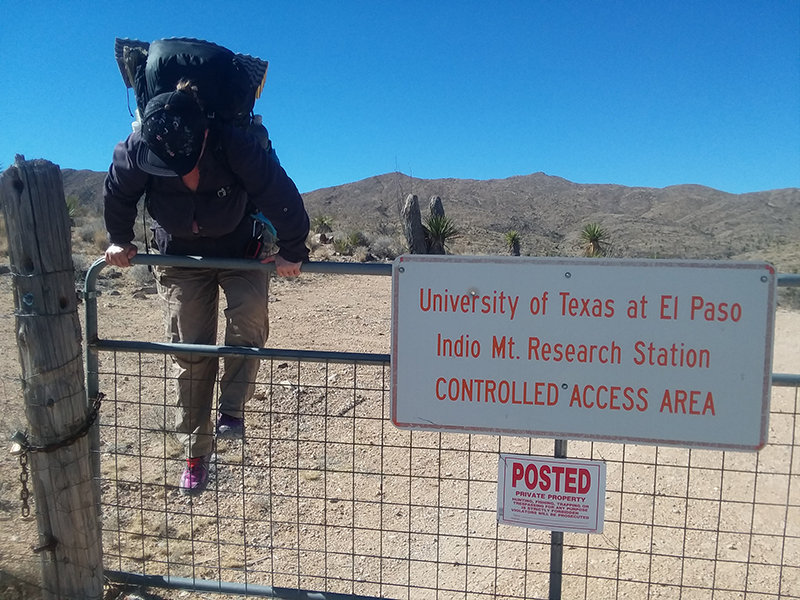 The sign was ambiguous enough about our right of access that we felt comfortable crossing. The land seemed to belong to the Texas Wildlife Association and it didn’t prohibit access it only stated that they weren’t liable for whatever happened. Great! We’ve been taking our doom in our own hands this whole trip. Forward march! We began climbing up but stopped as a white vehicle turned the corner and descended towards us. It was BP though we didn’t recognize their vehicle without the usual green stripe on the side. The two agents inside weren’t alarmists like the majority we’ve run into recently. What a huge relief. Their presence also served as a reassurance that we weren’t trespassing on a private road. They told us that we’d be able to continue down this road for at least 20 miles to the next major north/south route. Great! We have limited knowledge of our new route and having some info on what is ahead is invaluable. The rest of the evening passed by uneventfully as we climbed into the shadow of the Van Horn Mountains. We were more generous with our breaks than normal, definitely feeling the burn of all the water weight and the elevation gains. We’re all ears as of recent, the many hours at night we lay listening to sounds has heightened our sense of hearing. A vehicle miles away is instantly on our radar and break time is occupied by straining to detect any new sounds. 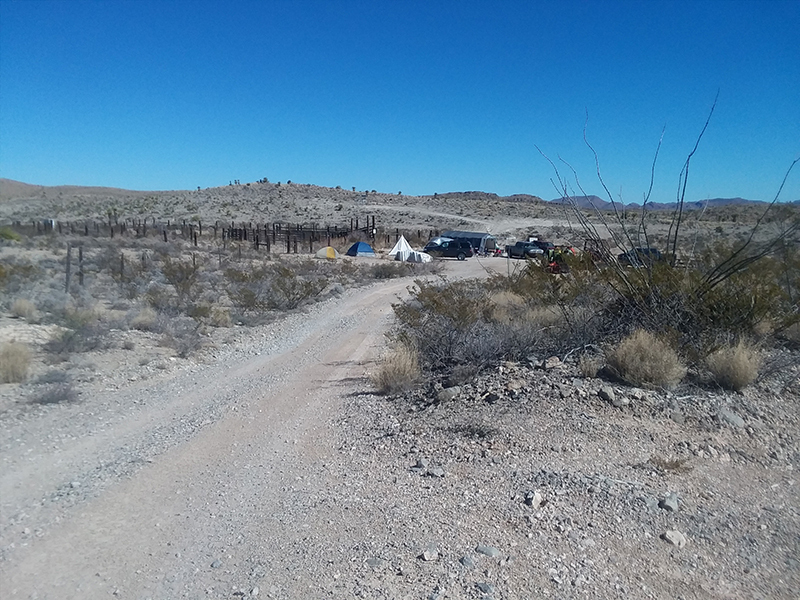 It took longer than normal to find a good spot to camp in light of our new talent for paranoid imagining but we finally were able to wedge ourselves behind a prickly cactus on a stony slope. No lights or sounds after dark, this is as stealth camping as we can get!